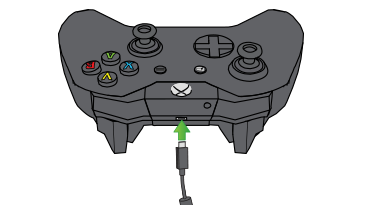 If your controller is disconnecting, see Xbox One Wireless Controller disconnects or can’t connect instead of this article. With a USB cable attached, your wireless controller converts to a wired controller. 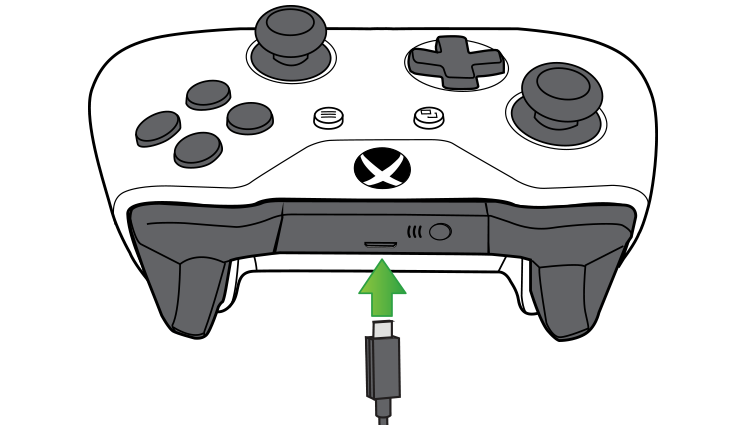 Your controller should’ve come with a cable, though you can use most USB-certified cables that have a micro-USB connector on one end and a full-size USB connector on the other. The charge cable that comes with the Xbox One Play & Charge Kit is recommended; performance of other cables may vary. The LED on a Play & Charge Kit cable will not be lit, indicating there’s no battery available to charge. Standard alkaline batteries won’t be used to power the controller functions while you’re using your controller as a wired controller. 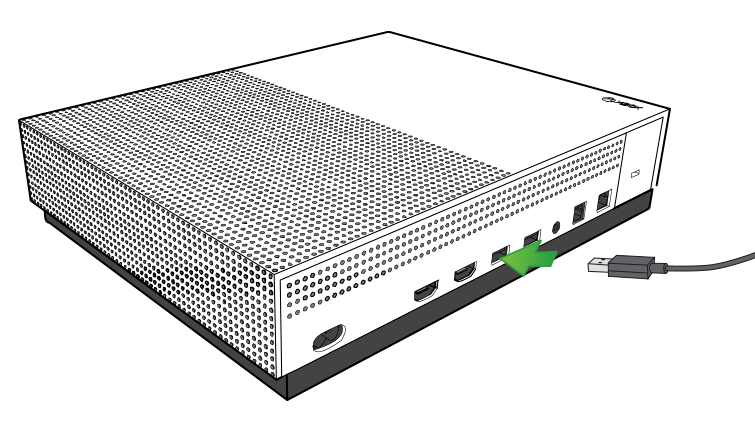 Plug the micro-USB connector into the controller, and plug the other end into the Xbox One console. 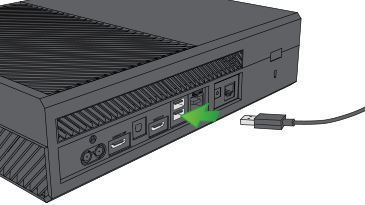 Would you like to contact Support regarding the "Connect a USB cable to use your Xbox One Wireless Controller without batteries" issue you were reading about or a different issue?